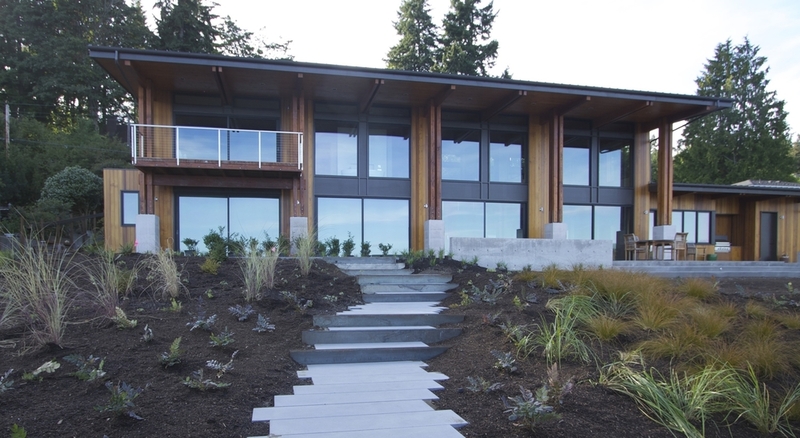 The long lines and open flow of this contemporary home on the south end of Bainbridge Island echo the surrounding beauty of the Puget Sound. 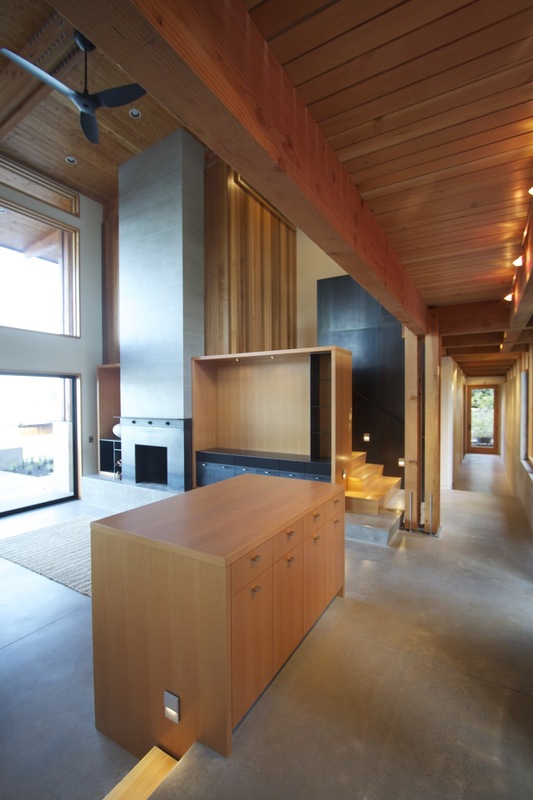 Exposed timber framing and a tongue and grove ceiling pay homage to the forests of the Pacific Northwest. 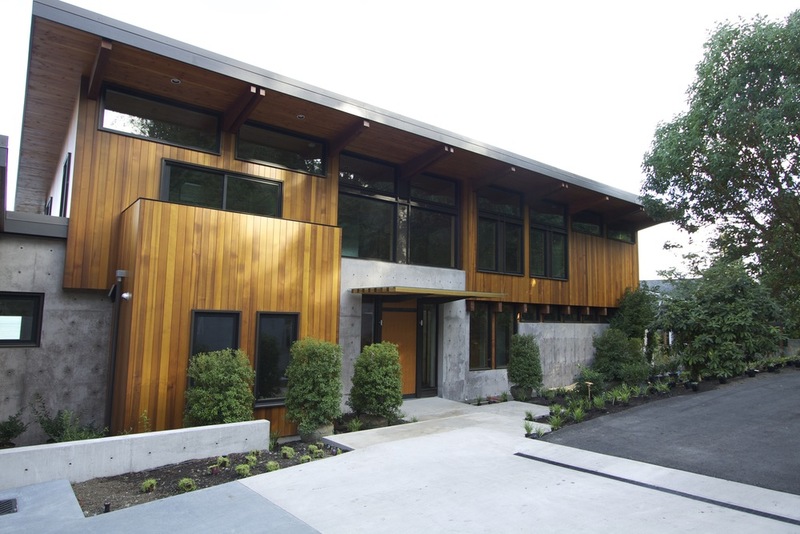 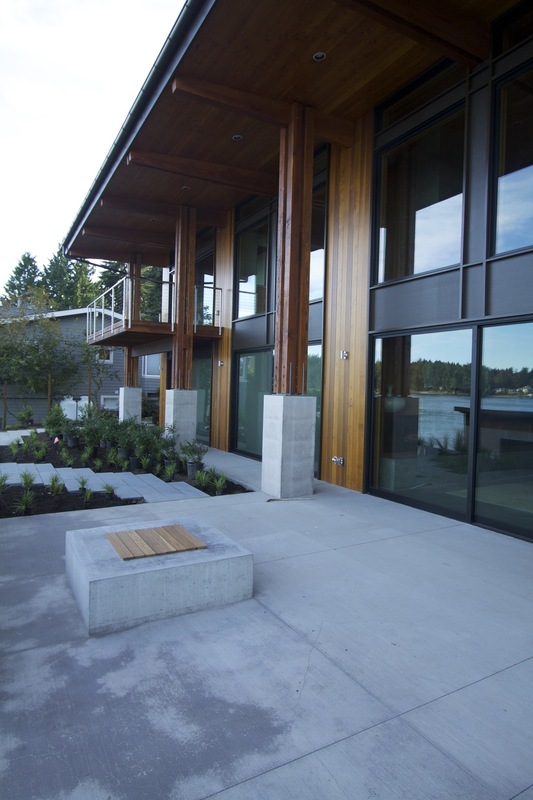 The home has walls of windows facing the water to allow for views of passing ferries, while a concrete thermal mass wall protects the street side of the house. 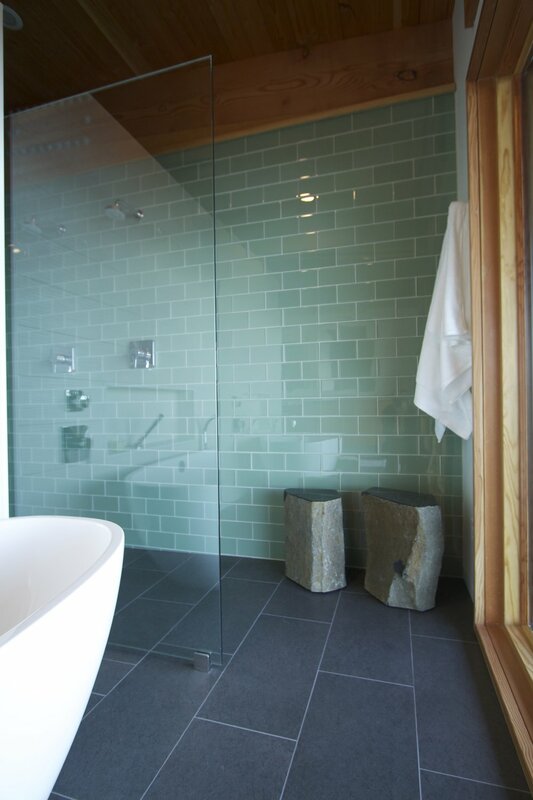 Live edge slabs, infinity drains in showers, and blackened steel architecture metalwork accent the structure. 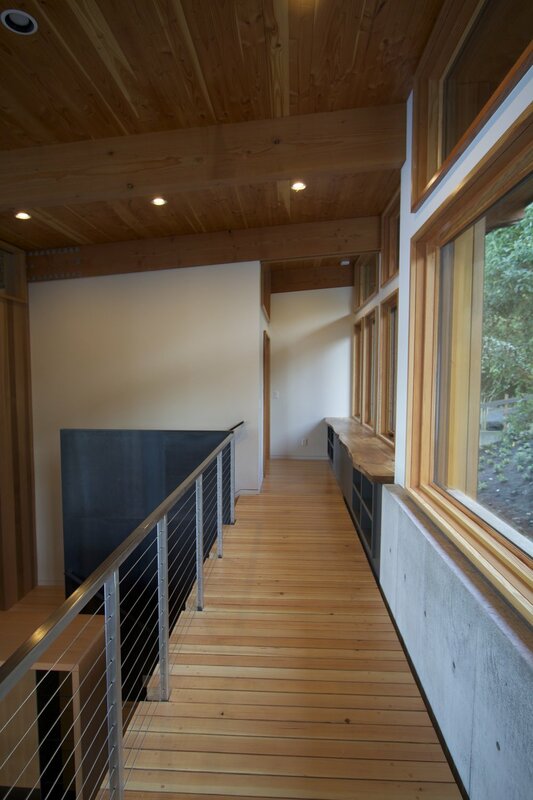 Natural materials such as New Zealand wool carpets and vertical grain fir cabinets finish off this Northwest home. 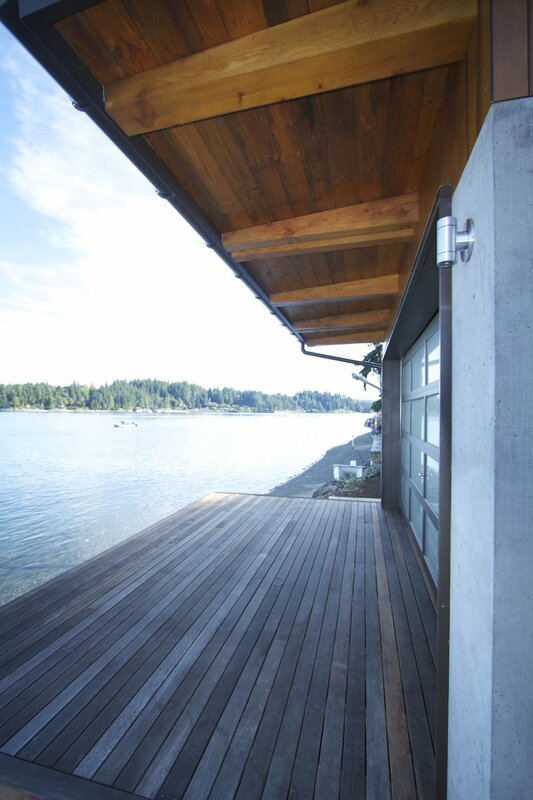 Right off the water is a boathouse with a retractable floor that reveals a hot tub.